Sage HRMS contains all the essentials you need for efficient and reliable human resource management. The robust, underlying database acts as your single point of truth. The solution contains comprehensive benefits administration, and addresses all of your compliance reporting needs, time-off and absence tracking, and powerful import and export functions. If you want complete control over your payroll process and sensitive payroll data, Sage HRMS Payroll enables you to produce accurate, timely payroll in-house and gives you complete control over your payroll process and sensitive payroll data. Simplify your organization's payroll processing with unlimited trial payrolls, on-demand and retroactive check processing, and unlimited direct deposits. For more info, contact an Asyma Solutions business software expert today! 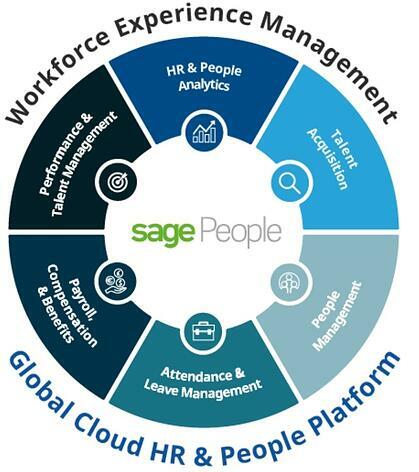 Sage People, part of Sage Business Cloud is a cloud-based HR information system (HRIS) is made for mid-sized multinationals whether your’e a scale-up with 200 employees in 2 countries, or a growing company with 6,000 people around the globe. Its powerful and user-friendly software will give you actionable insights, automate repetitive tasks, and create great workforce experiences for your people – wherever they are in the world. It supports the full employment journey, from people marketing, recruitment and onboarding, to analytics, reviews and succession planning. Built on Salesforce App Cloud, the world’s leading enterprise cloud platform, Sage People connects your organization to your people in a whole new way.